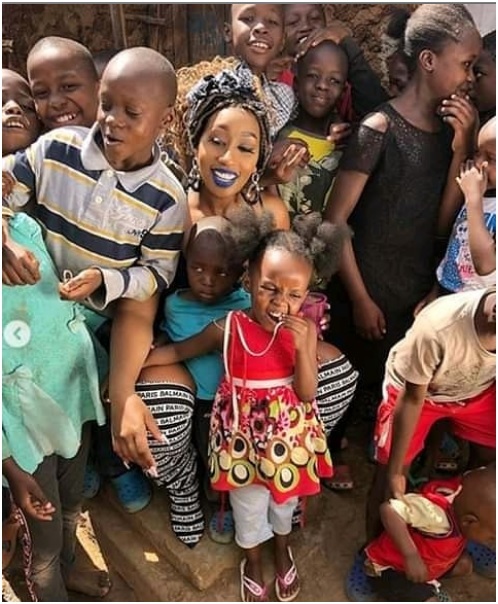 Tuesday, April 16, 2019 - Singer Victoria Kimani was roasted by some netizens over her choice of dressing when she went to give back to the community in Kibera. 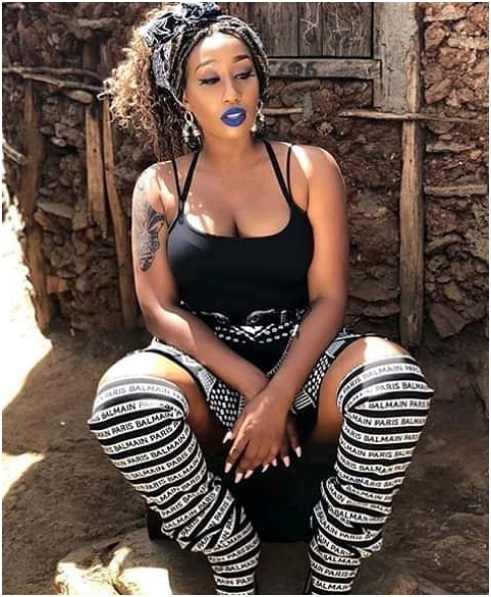 Victoria went to a children’s home in the slums of Kibera dressed like a stripper. Some netizens felt that this is not the right way to dress when going to give back to the community and interacting with kids. Check out these photos and tell us what you think about her dressing.